Many people bless our lives by the love, knowledge, and help they give. They are our "Earth Angels". This page is set up to recognize and honor these giving souls. Please e-mail us a few sentences about someone who you would like to see honored on this page. 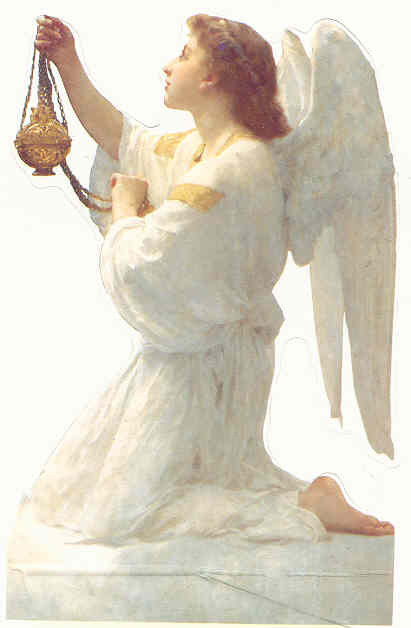 ( earthangels@angelstoguideyou.com ) Because of spamers please put "earthangel" in the subject line. We will feature some and list others. This page will be updated often. For keeping the light for her husband, Stacy, who died of brain cancer, by creating the web-site www.sendlovetoday.org - a nonprofit orgainzation that provides emotional support to brain tumor patients and their families. Author/ Writer Cathrine Lanigan is looking for angelic experiences and stories to be used in an up-coming project. If your have any and would like to share them, e-mail Cathrine at angelwatchshow@hotmail.com, or call her at 1-800-441-5369. If you would like to listen to Cathrine as a guest on our radio program, Spirit Connections , click here! "Earth Angels" also recognize groups and organizations that are "angels" to others. Here are some we encourage you to support. Yes, Leprosy still exists in many countries but there is a cure if caught early. Please help save the children from this terrible disease. This wonderful organization founded by Pres. Jimmy Carter helps thousands of people obtain the "American Dream" of owning their own home. We have found great people who have done fantastic jobs helping animals in need find shelter and love. Support your local area Humane Society.